A controversial new law regulating the activities of foreign non-profit organisations (NPOs) in China came into effect on January 1. Under the Overseas NGO Law, foreign NPOs will have to meet very stringent registration and reporting guidelines, which raises concerns about China’s lack of progress towards good governance and the rule of law. Critics have taken issue with the fact that the law brings foreign NPOs and their operations under the jurisdiction of the Chinese Ministry of Public Security. This leads to an over-politicisation of the civil society sector in China. Chinese officials seem to consider foreign NPOs and their Chinese partners as potentially undermining the authority of the Chinese Communist Party. The law is indicative of a global trend of restricting the political space available for civil society in countries as disparate as India, Israel, Russia, Egypt, Ethiopia, Uganda, and Cambodia. It radically alters the terms of engagement with China for foreign NPOs and is intended to be a game changer. Even before its introduction, it prompted high-level diplomacy between China and the US and between China and Germany. 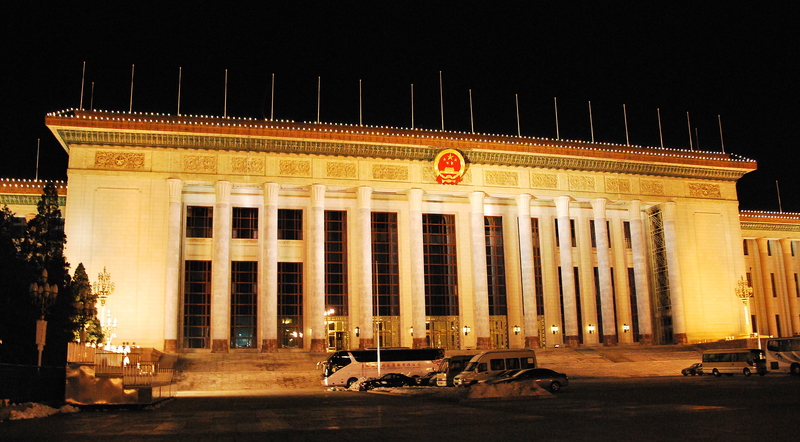 The Chinese ministry has been tasked with a regulatory role which used to be the remit of the Ministry of Civil Affairs (MoCA) – and it has no prior experience of engaging with China’s civil society sector. With its emphasis on policing and law enforcement it is now empowered to shut down individual overseas NPOs. But there is a risk that the law will be applied in a non-transparent and inconsistent way. Foreign NPOs working in the field of civil rights and the rule of law are more likely to be targeted than those working in less politically sensitive areas. Prior to the enactment of China’s Overseas NGO Law only 29 foreign NPOs managed to register with MoCA. They have also been struggling to find political sponsors in China to be able to comply with the new law. In December 2016, the MPS published a detailed list of government organisations that will be in charge of supervising foreign NPOs. But the list does not include supervisory units for NGOs operating in sensitive areas such as legal reform and rights issues. There are also very few incentives for nominated Chinese supervisory bodies to take over responsibility for the activities of foreign NPOs in less politically sensitive fields. The result could be a situation where a majority of foreign NPOs remain in a legal limbo. 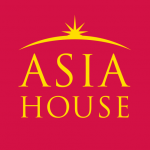 At a round table meeting hosted by The Rights Practice in London in May 2016, I heard NPO representatives discuss the possibility of divesting from China. A few months later at the 23rd UK-China Human Rights Dialogue in October, a Chinese official revealed that the government assumed that between 10-20% of foreign NPOs may leave China if they find complying with the proposed changes too much of a burden. Some NGOs already have. A prominent example is the American Bar Association, which recently closed the Beijing Office of its Rule of Law Initiative and has now relocated to Hong Kong. While the law also applies to Hong Kong, Macao, and Taiwan, the American Bar Association seems to assume that the former British crown colony, with its semi-democratic status under the “One Country, Two Systems” formula, still offers greater legal protection for foreign NGOs. The new law is also a problem because it carries a high risk and probability of administrative abuse – particularly true regarding cooperation with some kinds of Chinese grassroots NGOs working in politically sensitive areas. Just two days before the law came into effect, the premises of the overseas-funded Migrant Workers Home, a Beijing-based service-delivery and advocacy group for rural migrants, were ransacked. One way forward would be for foreign NPOs to adopt a strategy of “smart indigenisation”. This would mean providing grants to allow Chinese partners to sit in the driving seat of projects and programmes, thereby ensuring Chinese ownership and sustainability of initiatives. Arguably, Chinese problems will need be solved primarily by Chinese people drawing on Chinese resources. There are now more than 5,000 Chinese private foundations operating within the country. A new, separate Charity law which came into effect in September 2016 aimed at domestic civil society organisations, provides regulatory clarity for Chinese charities and Chinese foundations. By making it easier to register and raise funds domestically, it should allow China’s homegrown civil society to flourish. Private Chinese foundations are also keen to expand the scope of what is politically permissable in philanthropy by encouraging public discourse and supporting better dialogue between citizens and cadres. More politically-minded Chinese foundations include the One Foundation, Narada Foundation, China Foundation for Poverty Alleviation as well as the SEE Foundation. They could be natural partners for those foreign NPOs which are keen to continue their collaboration with Chinese civil society organisations, albeit in an indirect way. Meanwhile, the new law regulating foreign NPOs requires decisive action by the international community. To mitigate the current crisis of trust, its implementation needs to be monitored and evaluated with transparency in order to document and prevent administrative abuse. Whether or not European NPOs will chose to comply with the new law or decide to divest from China will depend on their guiding values and the vision and mission of their respective organisations. But foreign organisation which are ready to comply with the law will have to subject themselves to control by the Chinese public security apparatus. This intrusion of the security services into the aid sector puts their frontline project and programme officers in China in harm’s way. And yet foreign non-profit organisations would hardly advance their missions by retreating from the world’s most populous nation. Withdrawing from China would mean that they concede defeat without mounting a credible defence. Andreas Fulda is an Assistant Professor at the School of Politics and International Relations at the University of Nottingham. This article was first published on The Conversation and can be found here. Image credit: CC by May Wong/Flickr.